Priyanka and Nick tied the knot in Jodhpur. Actress Priyanka Chopra, Nick Jonas are now man and wife. The couple exchanged wedding vows as per Christian and Hindu customs in Jodhpur. As the whole country is celebrating her grand day, locals of Bareilly decorated PeeCee’s ancestral house. The caretaker of the house, Parameshwar Rai Pandey, stated that people danced and bursted crackers. 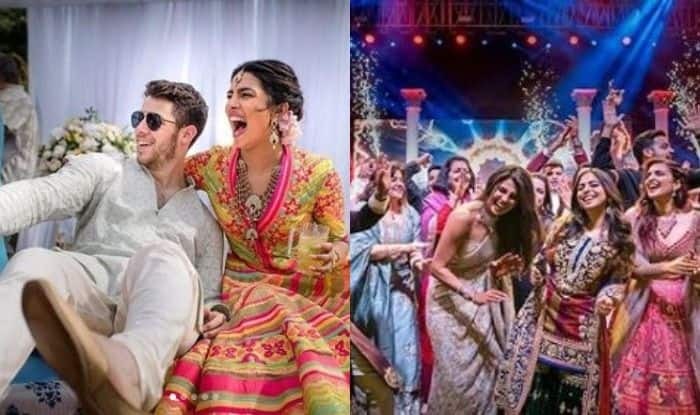 Lately, Priyanka and Nick’s pre-wedding pictures took the internet by storm. She donned a multicoloured lehenga at her mehendi and looked gorgeous in a saree at her sangeet ceremony. Both the stars donned Ralph Lauren outfits for their Christian wedding ceremony. Well, it is yet to be seen if the gorgeous lady shares some more pictures. From walking hand-in-hand to their aww-worthy posts, Priyanka and Nick have always given relationship goals to their fans. They were first spotted together at Met Gala ceremony. Their frequent joint appearances raised many eyebrows. However, PeeCee kept mum whenever asked about her relationship. The couple had a Roka ceremony in Mumbai which was followed by an engagement bash. There is no denying the fact that they are a match made in heaven. On the professional front, she will next be seen in The Sky is Pink. The movie also features Zaira Wasim and Farhan Akhtar in crucial roles.